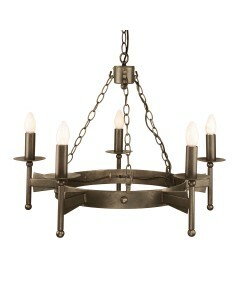 This Cromwell 3 light wrought iron wheel chandelier is truly medieval in design. 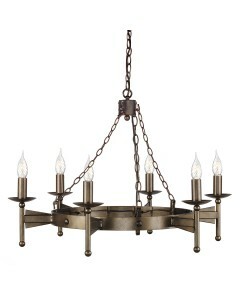 This is a heavy and hand crafted chandelier which has been designed to replicate the old wrought iron fittings of bygone days. 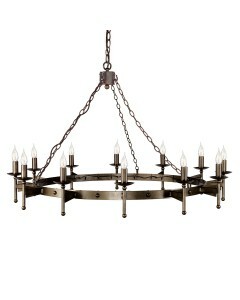 This chandelier has chains and a circular frame supporting the candle holders. 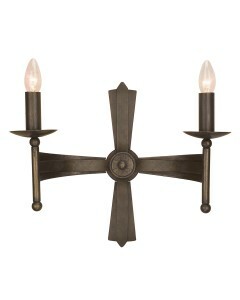 This item is manufactured in England using traditional skills at the Elstead Forge and is individually hand painted in a unique Old Bronze finish. 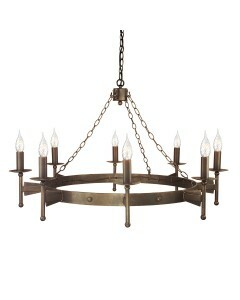 This 3 light chandelier has a height of 440mm and a width of 600mm. 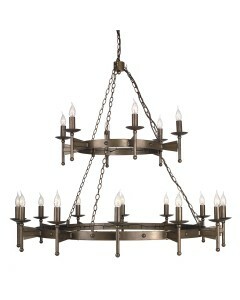 The maximum drop from the ceiling cup to the bottom of the chandelier is 1000mm, however, the chain can be shortened on installation if required to suit many ceiling heights. 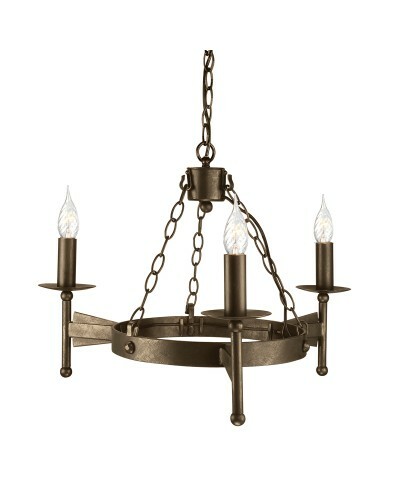 Minimum drop is 490mm.